Essendex is an international-based SMS business provider with an Australian branch in Melbourne offering a number of valued text message options. The SMS Business Comparison review found them worthy of serious consideration except their SMS pricing is one of the most expensive compared to their direct competitors. Essendex is an one-stop shop for all your communication and marketing needs, offering an easy-to-use range of text messaging service for businesses and organisations as reviewed through the Business SMS Provider Comparison table. This provider offers online SMS which will allow you to not only send but, if you require, receive SMS from your end users all from any web enabled computer. Whether sending reminder messages to individuals or clients or organisations, it just involves one simple step with no setup required. It’s s easy as that! Essendex is a global business with offices based in Australia (Melbourne), France, Germany, Spain with a head office in Nottingham, United Kingdom. Therefore they have a wide telecommunication network connections with expert API developers who will provide the right technology to ensure that your text messages are effectively distributed. This means that Essendex as a Business SMS Provider is able to integrate SMS into anything that you request. A great asset of Essendex is that it requires no software for you to download or to install. This means that this SMS provider is totally web based so no software is required that could crash your computer. All you need is a web browser and Internet access. The SMS provider will then save your contacts, and set up groups to manage your contacts. This will mean that it will send reminders to the groups that you have setup in a matter of seconds. 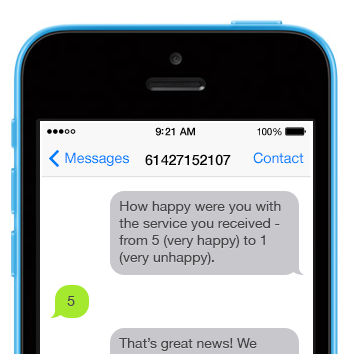 Scheduled SMS delivery can be done at predetermined times. It is just a matter of notifying Essendex to send SMS for appointments, reminders or notifications of important dates to customers, clients or stakeholders. If by chance, you are unable to get on your computer when your SMS promotional campaign needs to be sent, there is no problems, as this business SMS provider can schedule the reminder message. And in addition, they will be able to track whether a message has been received on a recipient’s mobile phone or by an email. This will mean a complete history of all outgoing and incoming text messages will be tracked for your business, communications and marketing campaigns. And for a complete explanation of their multiple features, they offer a SMS page overview, which discusses several topics, including their latest clients and upgrades to their service. They also provide a free trial to the service the first time you log in after signing up. Essendex has an impressive list of clients including brands such as nab, Acer, Peter Mac, Toll and Bupa to name a few. See their website. Is Essendex Value for Money? Our Essendex review of Business SMS Provider Australian Comparison Table found that their charges were more expensive than their direct SMS Business competitors. In general, Essendex rates are approximately 25% and upwards more expensive than other business text message providers. For organisations that require minimal distribution of between 1 to 10,000 messages in a month, the charge was over 200% more expensive than their direct competitors. Essendex does not state if it has no monthly fee or recurring fees for dedicated numbers but does state it has a flexible option which is valid for 12 months from the date of purchase. This company does provide 100% uptime service level agreement guarantee which is reassuring and worthy of consideration. One of the key features of Essendex is their multi channel capabilities. This is the process by which brings all of the customer communication channels together to create a low-touch, highly effective messaging strategy. By combining SMS, Email and Mobile Web Apps, it increases the probability of reaching end users effectively and meeting their expectations. Essendex will automate the shift from one communication channel to another, recording customer preferences and measure the rate of success.Their professional services team have created thousands of custom multi channel workflows for customers of all sizes. Essendex is an international-based SMS business provider with an Australian branch which offers all day and night service with offices in other countries. With the number of valued features outlined, our Essendex review found them worthy of serious consideration except their pricing is one of the most expensive compared to other competitors in the SMS business domain and this matter will become a major factor in considering to engage Essendex. Our Premium Business SMS Comparison Table was developed to identify and compare the services and products offered by the range of SMS providers through means of an independent yet well analysed comparison Table. The information has been categorized into a simplified, readable, and easy to follow tabulated format so as to provide you with key information on key selection criteria such as message distribution costs, networks availability, customer service support, credit availability, and so on. It should be stressed that the information provided in the table and our Essendex review should only be used as a guide as prices and features may be updated at any time by the business providers’ websites without any prior notification. The Business SMS Comparison Table is provided for free to assist you, however a commission may be requested from the provider’s site if you click through to their website and engage their services. There are no forms of advertisements on this site and the authors have made price and other key features the selection elements that have led to the recommendations made on the site.